All fly lines for the jungle should be warm water lines. Fly lines designed for cold water become soft, limp, and gummy in hot weather, and simply will not work in the Amazon. Saltwater lines work well, as well as lines designed specifically for fishing the jungle. These lines are made to maintain some stiffness and remain slick in hot weather, so they won’t tangle as much, will form the loop and turn over better, and will shoot through the rod guides with less friction under the equatorial sun. Equally important is to bring several different lines — floating, intermediate, and sink tip lines. In very low water conditions or when lots of fish are spawning, floating lines are often used. However, intermediate lines are the go-to lines under most conditions for big peacocks. That’s because under normal water levels, the hookup rate on floating lines drops dramatically. Higher water means more current. Therefore, the fly not only needs to get down deeper, but it needs to get deeper faster and in stronger current. Switching to an intermediate line gets the fly to the strike zone quicker and keeps it there longer. The same principles apply if the water rises more, and a full sink tip line might be required for deeper water and stronger current. Properly weighted lines can lead to many, many more eats and hookups by monster peacock bass. The correct line taper is also very important. Flies for peacock bass are large, bulky, and wind-resistant. Ultra-aggressive weight-forward tapers help to turn over big flies much more easily. Leave your bonefish lines at home; they’re designed for delicate presentations with small flies. When you consider that you will be casting more or less all day long for a week straight, this factor is even more important. A line taper that does most of the work for you can save your arm tons of fatigue — and leave you enough strength to fight these brutes. Finally, peacock bass are renowned for destroying lines by running straight into the middle of snags when hooked. By bringing several different lines for different scenarios, you will always have backup lines if needed. Consider bringing two intermediate lines, as they are used most often. Examples of good line choices are the Scientific Anglers Mastery Titan Jungle Floating, Scientific Anglers Sonar Titan Jungle Clear Tip intermediate 30 foot clear tip, and a 24 to 30 foot 200 to 300 grain sink-tip fly line such as the Scientific Anglers Sonar Jungle Custom Tip. 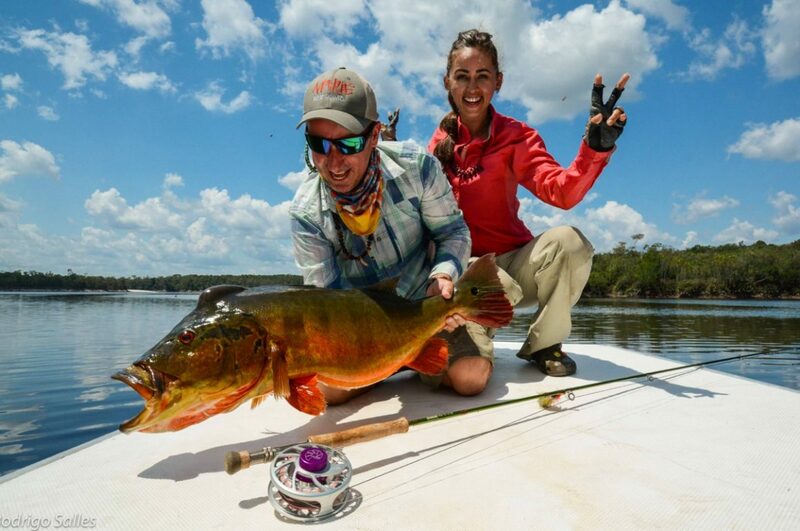 More than perhaps any other species, you do not want to be under-gunned when targeting trophy peacock bass. Beefy, fast action rods are mandatory. 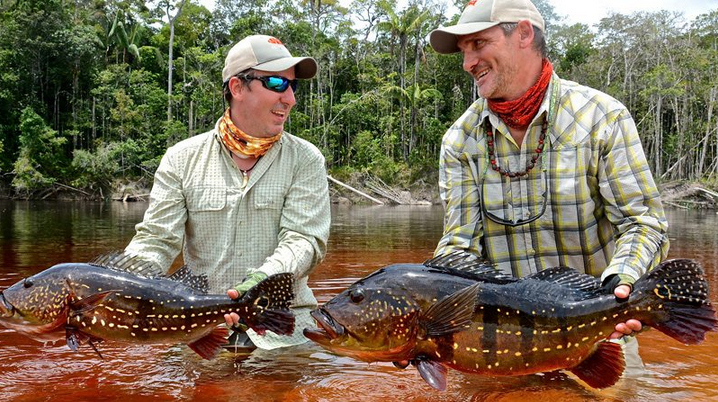 Also don’t get cute by downsizing in line weight for “sport.” There are several reasons for bringing only stout rods to the Amazon. You’ll be casting bulky flies with an aggressive weight forward taper line. These lines load fast action rods easily, whereas slower action rods may not hold up. It may sound counter-intuitive, but using a beefier rod will actually save you energy. The rod will do more of the work for you. This becomes very important when making hundreds of casts per day with aggressive weight forward tapers and big flies. Rods that lack the necessary backbone not only tire your arm quicker, but they may not even be capable of delivering and turning over a big fly coupled with a super-weight forward line. 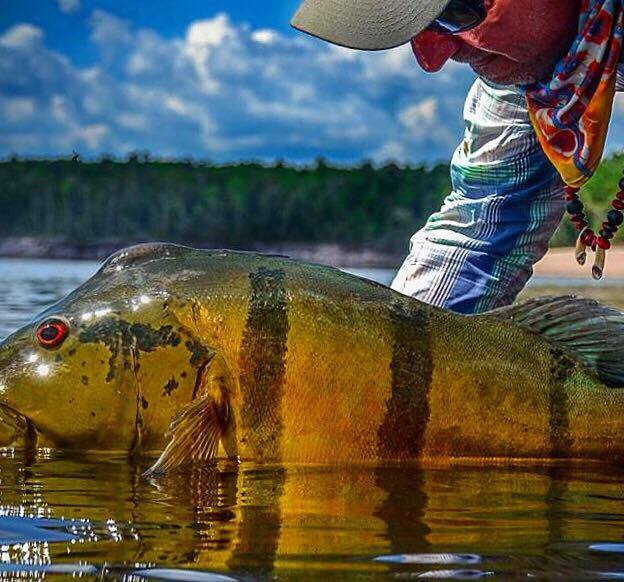 These fish are not only big and very powerful, but they live near heavy cover. Rods that can handle that combination can be the difference between heartache and the fish of a lifetime. While it may seem self-explanatory, it’s difficult to overestimate the initial power of big peacock bass. The first few seconds of the battle are critical as the fish makes the first powerful dive for cover. You need all the help you can get in stopping the fish before it gets there. Your reel often won’t help because the fish will reach cover before the line is on the reel, but a rod with lots of backbone can make the difference. 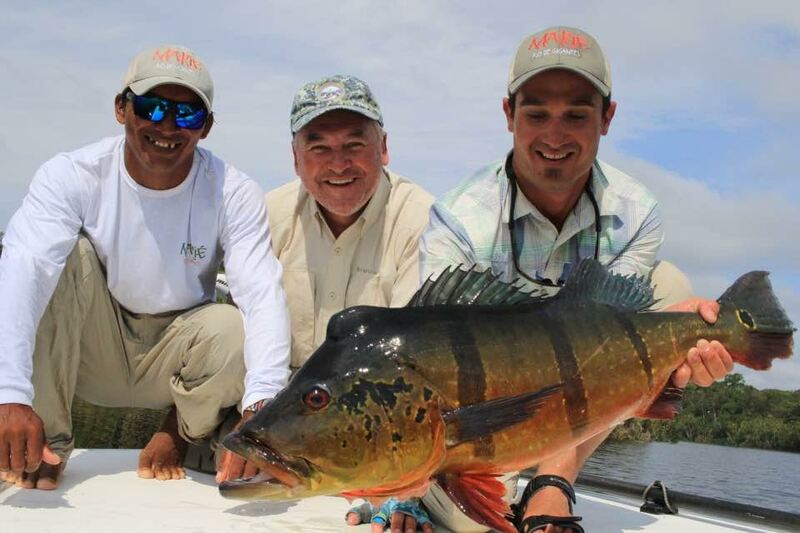 For trophy peacock bass (Cichla Temensis) that can reach 30 pounds, a stout 9wt or 10wt rod is the best bet. A backup rod is highly recommended for the same reasons that backup lines are essential. Trophy peacock bass have a tendency to destroy gear, and you don’t want to travel all the way to the middle of the Amazon only to break the only rod you brought with you. For the butterfly peacock bass found in large numbers from 2-8 pounds, a 7wt or 8wt will fit the bill nicely. When trying to entice peacock bass to eat, you will make lots of casts, with LOTS of aggressive strips. When the fish does eat, you will set the hook hard and attempt to stop the fish as soon as possible — often well before the line is on the reel where the drag can do the work. For both of these reasons, gloves or stripping guards are critical. They will save you the pain and annoyance of small slices, cuts, and burns on your fingers. In a remote, tropical environment, avoiding cuts that can become infected is all-important. And even if these small injuries do not pose a risk of serious injury, they can sideline you and ruin your trip. Gloves or finger guards not only protect from annoying injuries, but they can allow you to put that extra pound or two of pressure on the fish to keep it from reaching cover. If you plan to use gloves with fingertips cut off, make sure they cover the parts of your fingers you use for stripping before taking your trip. Better yet, use stripping guards. It is a great product made for this purpose. When heading to an equatorial location, you probably do not need to be told to protect yourself from the sun. However, there are a few tips that may not be obvious. For example, your sunscreen should not have any fruity or sweet scents, as it will attract bees and other insects. It also needs to be waterproof, at least 30 SPF, and applied to all exposed skin. Wear lightweight socks. They are cooler than shoes, save your feet from the direct sun, and still allow you to feel your fly line on the deck. Line often catches on or under shoes when shooting line or when a fish runs. For that reason we often fish barefoot when on a boat, but the intense sun in the Amazon can fry bare feet. Socks are a life saver. Similarly, hands tend to get some of the most direct sun while fly fishing — especially when you are casting and stripping all day long. Lightweight sun gloves not only protect your fingers from the sun but also from cuts and burns when stripping line and fighting fish. A full brim, lightweight hat with a moisture wicking band, such as a good straw hat, is highly recommended. It not only protects face, ears, and neck from sun, but it can provide shade for the rest of your body when the sun is directly overhead and keep your whole body cooler. A ball cap does not. Long sleeve shirts and long pants are also more effective than sunscreen (which wears off over time), and can also help keep annoying insects off your skin. Light colored clothing seems more effective for insects. And obviously the lightest weight, coolest clothing made will help to keep you cool. Patagonia and Simms make comfortable, super lightweight, and quick drying shirts and pants. The face always seems to get the most exposure even when wearing a hat. Remember, sun reflection off the water is almost as intense as direct sun. And the skin on your nose, lips, and ears is more sensitive than on other exposed parts of your body. A Buff or bandana protects your face from sun both above and reflected from below. Buffs or bandanas can also be dunked in cold water to cool you off during the day. Finally, super high quality polarized sunglasses, such as those by Costa Del Mar and Smith/Action Optics, are essential. Keeping in mind that weight limits on small planes limit the amount of gear you can bring, try to include a high quality camera. 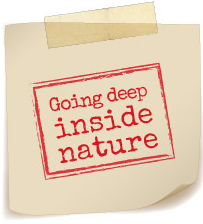 You will be in an incredibly pristine environment full of exotic flora and fauna. The bird life alone can be worth the price of admission, with parrots, macaws, parakeets, toucans, cotingas, flickers, manakins, woodpeckers, and hummingbirds commonly seen. Similarly, the butterflies and flowers can be absolutely stunning. Plus, you stand a very good chance of catching record class peacock bass, which are one of the most photogenic fish on the planet. You will not regret taking lots of high quality photos in the Amazon! This is not an exhaustive Amazon gear list, but the above items are essential when fly fishing for peacock bass — and many of them may not be obvious. Make sure you bring them along to be prepared and to fish as effectively as possible on what is sure to be an unforgettable trip.